The First Write-Up About Break The Wall's Launch! 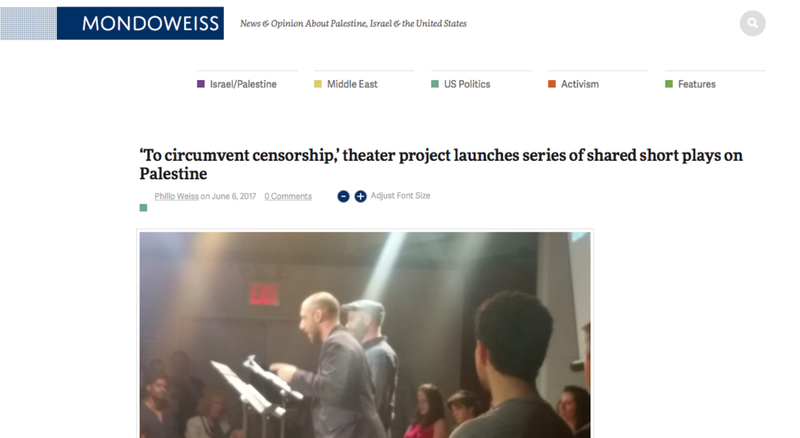 A beautiful write-up by Phil Weiss appeared today on the ever smart Mondoweiss about last night's launch of Break the Wall! We were overwhelmed by the love, dedication, and fierce smarts in that one room. Thank you Lark for letting us set the ball rolling at your theatre! And thank you to our wonderful writers, directors, and actors for making a night of readings and performances that proved electrifying. And yes, theatre alone can't change the world, but it can foster a new discourse, break through the endless lies and censorship and obfuscations that surround this issue, and demand radical empathy. So let's break some walls! Older PostBroadway World Announces the Launch - Plus Our Amazing Cast!